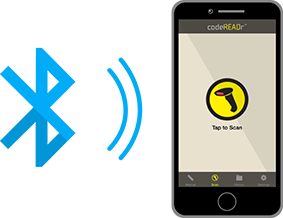 Rapid barcode scanning is easy while using the barcode scanner app, hover your device’s camera over a barcode to automatically scan. You can configure the settings so that there are no buttons or screen taps required. Our barcode decoding engine is built directly into the application, making it fast and reliable. Automatically relaunch the device’s camera after each valid scan without pressing any buttons. Ideal for rapid, continuous scanning. Need to scan a commercial, application-specific barcode symbology, like automotive VIN codes? How about PDF-417 barcodes embedded with tons of data, like driver’s licenses? Or even dense data matrix codes as small as 0.2. (5mm) square? Upgrade to our SD PRO Scan engine and you can decode any barcode symbology quickly and accurately using just your smartphone camera! If a barcode is damaged or lost, users can manually enter barcode values on the device or perform a search of the database. 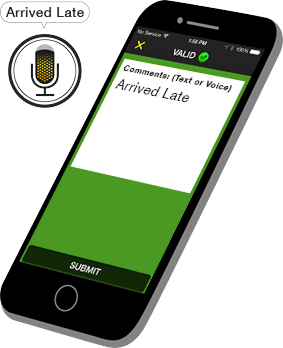 In addition to typing in a value with the keyboard users can use Voice-to-Text feature for faster text entry or search. If you prefer the “point & shoot” convenience of a commercial barcode scanner, you can pair a bluetooth scanning accessory to most Android or iOS devices and use it with our barcode scanning app. The scans from the bluetooth scanner will be processed the same way as if it was taken from the camera.